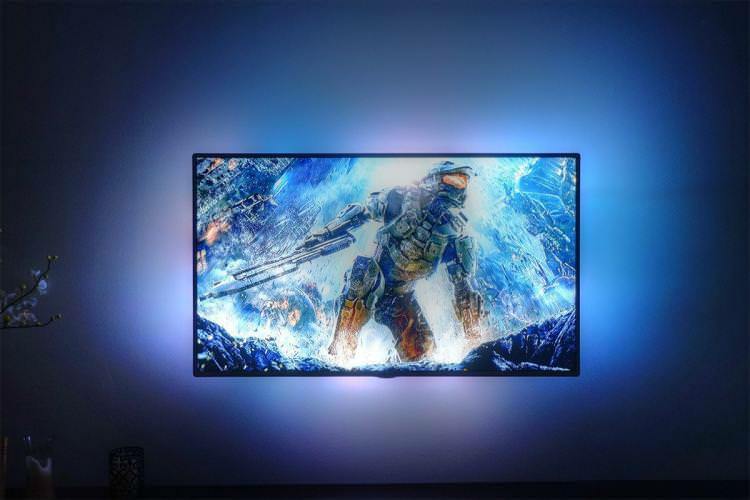 A DreamScreen HDTV Backlighting and Total Surround Kit makes your TV glow with the action, and is now available in the Boing Boing Store starting at $124.99. This backlight setup tracks the colors of your media to make the picture appear to bleed past your TV’s outer bezel at an ultra-smooth 60 frames per second. If you’re using the TV to stream music, it also has a hue-cycling visualizer mode for gorgeous mood lighting. To achieve the atmospheric effect, just affix the included LED strips to the back of your television and plug in the HDMI hub. It accepts up to three different video sources, so you can get the same brilliant results with your HD receiver, game console, or blu-ray player. DreamScreen comes in a trio of sizes to match your display. Classic is designed for large (32”+) desktop monitors, making it ideal for immersive PC gaming. There’s Xtreme for extra-large TVs up to 80”, and Mega is for everything else — it looks great with any sets between 45” and 65”. You can get any of these three standard offerings in the Boing Boing Store, as well as upgraded versions that come bundled with two extra sidekick LED panels. Pick up a DreamScreen HDTV Backlighting Kit here starting at $124.99.